Provide comfort for the family of Harold Nyhaug with a meaningful gesture of sympathy. Harold A. Nyhaug, 89, of Irene, passed away, December 9, 2018 at Sunset Manor Nursing Home in Irene, where he had been a resident for the past six months. Harold Allen Nyhaug, son of Chris and Helen (Vognild) Nyhaug was born July 2, 1929. His mom always said that was the hottest day of that year. He was baptized and confirmed in the Lutheran Faith by the Reverend P.M. Fjaere. He attended elementary school at Clay Valley and Pleasant Valley rural schools. He attended Irene High School for one year and graduated from Volin High School in 1947. Harold farmed with his dad and did other farming jobs for neighboring farmers. On September 28, 1951 he was drafted into the U.S. Army during the Korean Conflict. He served as a medic at Ft. Breckenridge, KY, being honorably discharged on September 28, 1953. He married Ruth Davis on November 22, 1953. To this union two children were born. He continued farming and later became employed at The Freeman Company in Yankton, SD. In January of 1981, he became employed with the University of South Dakota Medical School as a Lab Tech. While being employed at USD he enjoyed being a ticket taker for events going on at the Dakota Dome. On November 6, 1982 he was united in marriage with Peggy Duff Hanson. They lived in Irene, SD until 1997, when they moved to Sioux Falls, SD. 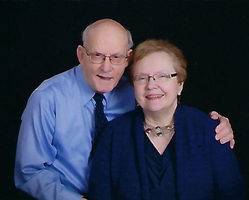 While living in Sioux Falls, Harold and Peggy managed the Mallard Cove Apartments for two years and then he became employed at The University of Sioux Falls. During his time in Sioux Falls he also enjoyed employment with The Sioux Falls Arena, Denny Sanford Premier Center and Cracker Barrel Old Country Store. 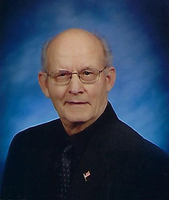 He was a member of Calvary Lutheran Church in Irene, Hall Thompson Post #193 of the American Legion (Past Commander), Irene First Responders, and being very proud of his Norwegian Heritage he enjoyed membership in Sons of Norway and Opdalslag. As an offshoot of his Norwegian Heritage, he and Peggy peeled many hundreds of pounds of potatoes and made lefse for various events and helped many families to enjoy lefse at their holiday dinners. He also served on the Marindahl Township Board, the Irene School Board and the Irene City Council. 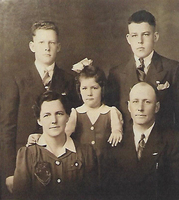 Harold is survived by his children, David (Joyce) Nyhaug and Susan (Jesse) Mogen and his wife Peggy. Also surviving are three step-children; Neal (Jenny) Hanson, Larry (Renee) Hanson and Emilie (Jeff) Traill. His grandchildren are Joshua (Rina) Nyhaug and Justin (Tiffany) Nyhaug along with two great-grandchildren, Jaxson Nyhaug and Jael Nyhaug, seven step-grandchildren; Brandon DeVries, Carter Traill, Nick Hanson, Olivia Hanson, Cate Traill, Samantha and Thomas Hagedorn. He is also survived by sister, Christie (Brad) Dunbar and his sister-in-law, Norma Nyhaug. He was preceded in death by his parents and his brother Russell. Upon Harold’s request there will be no services planned. Upon Harold's request, no services will be held. Peggy, I am sorry for your lost. Harold was a great man. Dear Peggy and family, Our deepest sympathies at this difficult time.